Leading Manufacturer of drip irrigation pipes, agriculture spray irrigation system and lateral pipes from Rajkot. 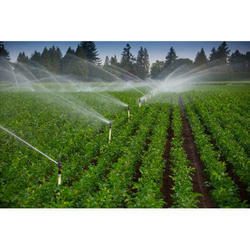 Sprinkler irrigation is a method of applyingirrigation water which is similar to natural rainfall. Water is distributed through a system of pipes usually by pumping. ... The pump supply system,sprinklers and operating conditions must be designed to enable a uniform application of water.